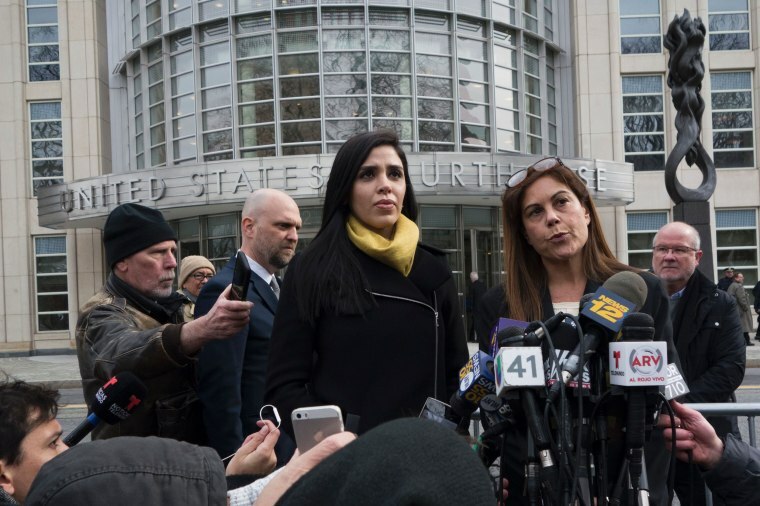 A federal judge has rejected Joaquin 'El Chapo' Guzman's request for a hug from his beauty queen wife. "As defense counsel points out, defendant’s conduct during what are surely difficult proceedings and conditions of confinement for him has been exemplary, and he has displayed considerable grace under pressure," the judge wrote — but he added he had no choice but to deny it. Prosecutors say Guzman, who twice escaped from high security prisons in Mexico, was running "the largest drug trafficking organization world," and used murder, kidnapping and torture to maintain his hold on his Sinaloa Cartel.